BOHEMIA, Long Island (WABC) -- A woman is under arrest on Long Island after authorities say she tried rob a gas station and scam people out of money for a fake charity in separate incidents. Jaime Jewler, 41, is now facing robbery and fraud charges. 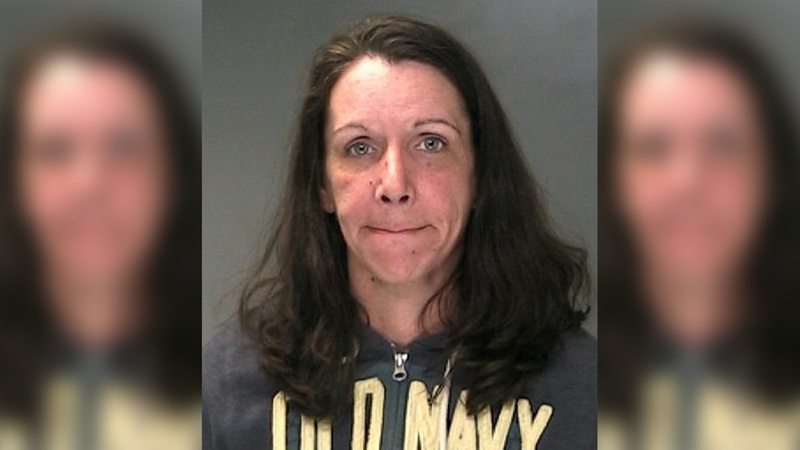 Suffolk County police say she solicited donations for a cancer walk back in November and then altered the checks she was given before cashing them without donating the money. Later that month, she allegedly walked into a Gulf gas station in Bohemia, displayed a handgun and demanded money. The attendant was reportedly able to wrestle her gun away before Jewler fled the scene. In two unrelated incidents that took place on November 8 and 9, 2016, Jewler solicited sponsor donations for a cancer walk. Jewler then altered the checks given to her and cashed them without donating the money to the charity. She was arrested Monday and charged with first-degree attempted robbery and two counts of second-degree criminal possession of forged instrument. Police are asking for other individuals who may have been victims of the alleged scam to contact the Fifth Squad at 631-854-8552.